When is the last time you got a flat tire, or even saw someone with a car jacked up on the side of, say, Braddock Road? Does anyone change tires in Burke, VA anymore? and any other auto service that keeps you driving safely down the road. These days we hear many road warrior stories and see many bruised and battered tires in Burke, VA - fallen victims to this year’s unprecedented winter weather. 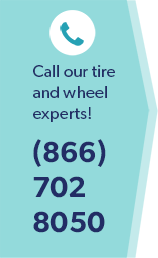 If you haven’t already, come for a complimentary tire inspection, and a clear picture of how safe your tires and your car really are travelling the often treacherous surfaces of Northern Virginia roads as we gear up for the sweltering days of summer. Don’t flirt with avoidable risks on the road - blow-outs still happen, and accidents all-too frequently involve potentially devastating consequences. The talented ASE-certified auto professionals at Wiygul Automotive Clinic can help you prepare your vehicle and tires in Burke, VA for optimum fuel performance and maximum driving safety. We can also help explain newer technologies and help with simple techniques you can use to keep your car looking and driving its best. Take tires for example. Tire technology has changed immensely since the introduction of the automobile. Today’s tires in Burke, VA include high performance materials, scientifically-engineered designs and IIHS safety-testing to deliver the most advanced, safest tires in Burke, VA. The run-flat tire technology, engineered to compensate for the effects of deflation when tires are punctured, lets you to drive below 55 mph for a specified limited distance (ranging from 50 to 200 miles depending on the type of tire) so you can get to safety and get assistance. While run-flats allow you to continue driving to safety, under-inflated tires might not handle potholes or debris like a properly maintained, inflated tire can. Tire pressure monitoring systems (TPMS) are a useful tool to help identify tires in Burke, VA with invisible safety issues. Tire technology like this can save lives. For state-of-the-art automotive knowledge and everything you need for your tires in Burke, VA, come see the auto service experts at Wiygul Automotive Clinic.